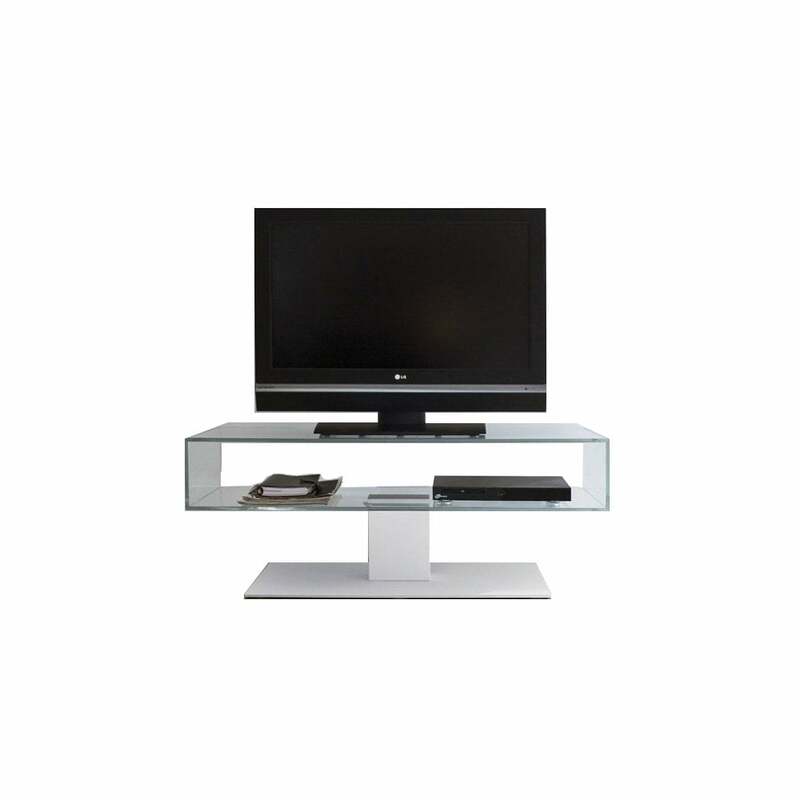 Swivel TV holder with frame in extra light tempered clear or fumè glass. Varnished white or black steel base. The Daniel tv stand proposes the lightness of simple and linear form, but with a character that is based on a mix of research, innovation of materials and production technology.